Planted forests, although only seven per cent of the world's forest resources, have superseded naturally regenerating forests as the principal source of industrial wood products. Lessening the pressure for wood production, tree planting has released natural forests to be managed for other purposes - carbon sinks, soil and water protection, conservation of biological diversity, recreation and amenity. Representing a complement, but not an alternative, to natural forests, planted forests have become increasingly important for reducing worldwide deforestation, loss of forest ecosystems and forest degradation. 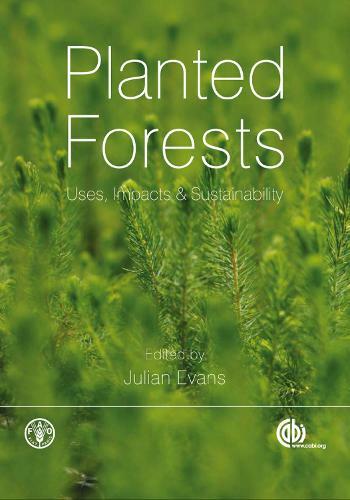 Examining the significance of this rapidly emerging world resource, chapters consider the strengths and weaknesses of planted forests, management objectives for their use and aspects of ownership and policy. Data from key production countries are used to evaluate the implications and sustainability of planted forests as a source of forest products as well as social and ecological issues.